This is one of my absolute most favorite dishes from my recent trip to beautiful Italy. 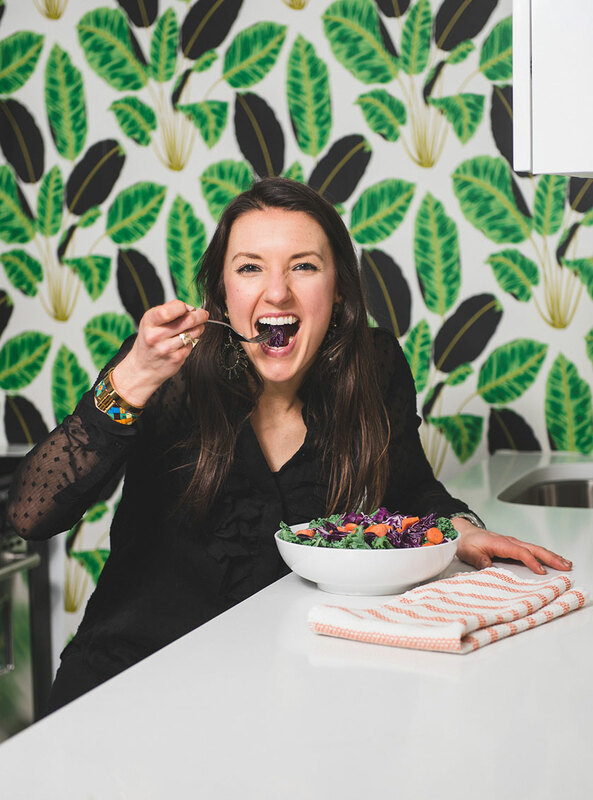 In my experience with cooking eggplant (other than my delicious recipe for Eggplant No-Parm Sliders) – I find it’s often hard to cook and not so tasty. However, this recipe for eggplant with sautéed tomato and garlic came out beautifully- and it’s so easy too. 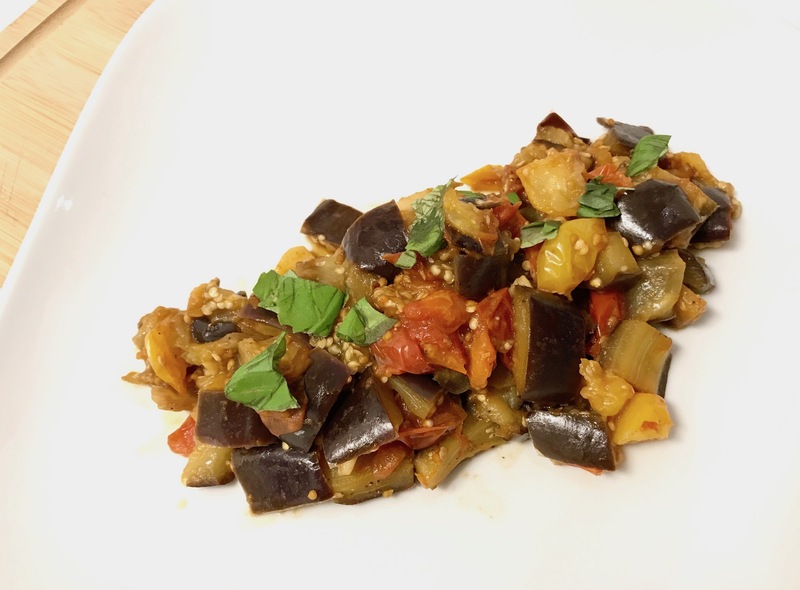 The key to this easy and tasty eggplant dish is sautéing the eggplant instead of baking it, and using garlic and tomato sautéed well in the pan first to add gorgeous flavor before adding the eggplant to the pan. This is a dish I will certainly be making often! You can pair this easy to make dish with almost any meal- as an entree itself (it’s quite filling) or as a side dish. When I made this dish, I paired it with chicken and added a side salad for more volume and fiber as well- but you can make it into what works best for you! Heat a medium sauté pan over medium heat for 1-2 minutes. Add the olive oil (regular, not extra virgin). Add the garlic to the pan and reduce the heat- allowing the garlic to brown for 1-2 minutes. Next add the tomatoes to the pan and allow to cook for 5-10 minutes, or until soft and lightly browned as well. Once the tomatoes are browned, add the eggplant, stir briefly, and lower heat. Stir every 5-7 minutes and allow to cook for 20 minutes or so, or until soft and well cooked. Once soft and well cooked, remove from heat and serve.